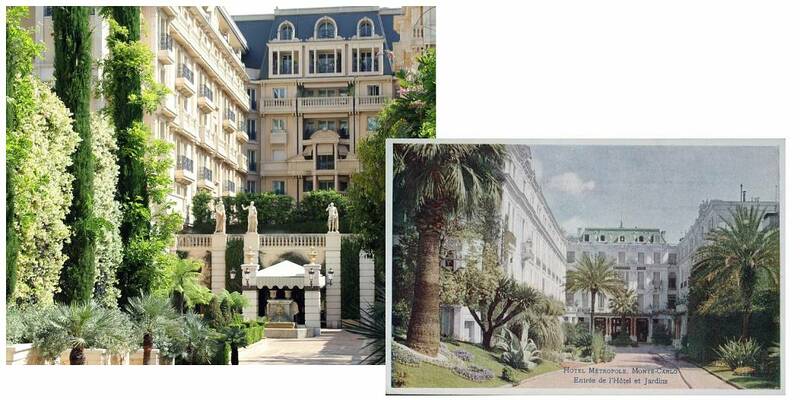 The first glimpse of the Hotel Metropole Monte-Carlo reminded me of a Mediterranean Garden of Eden, sitting right next to the Casino de Paris, Café de Paris, many luxury shops and exotic gardens in the heart of the Principality of Monaco. The hotel has preserved its timeless elegance in an exclusive yet unpretentious way while carrying the memory of magnificent moments throughout its 130-year old history. As I was told later, the hotel has been re-designed in the spirit of their ideal guest - the iconic actress Audrey Hepburn. The Belle Époque property, situated in a glamorous area called the Carré d'Or, has a modestly narrow entrance facing the Jardins de la Petite Afrique. The archway is guarded by two authentic Egyptian columns behind which the pretty facade and a wishing fountain reveal themselves. After a helicopter ride from Nice airport to Monaco, the Princes' Salon kept my head in the clouds once I had entered the building. The four walls of the room each displayed a portrait of one of the latest princes of Monaco, and in the middle glittered a chandelier, a sumptuous piece from when the hotel first opened its gates in 1889. The size of the salon was impressive and it was secluded from the lively lobby, giving some intimacy to the arriving guests. Celebrities such as Patrick Dempsey, Jennifer Lopez and Rihanna apparently appreciate it when they spend time at the palace. Intoxicated by the stunning ambience created by renowned designer Jacques Garcia, I was determined to have my first lunch at the lobby bar. 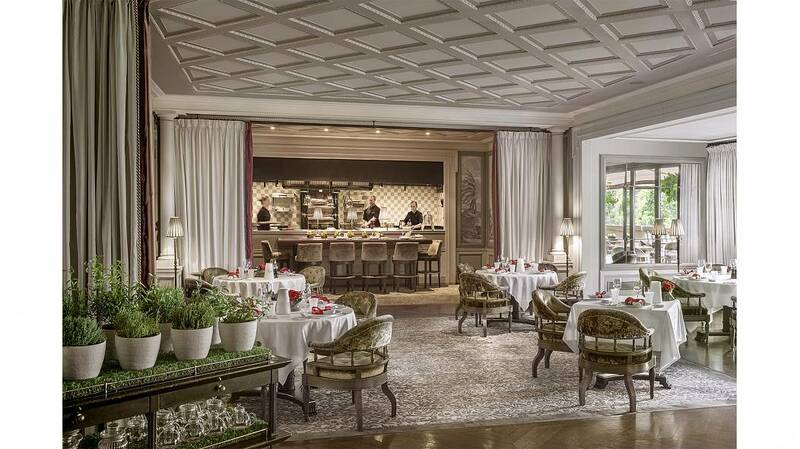 In fact, it functioned as one of the four restaurants in the hotel inspired by the 'chef of the century', the late Joël Robuchon. Many locals come here as well as guests on a daily basis to enjoy the special 'club' vibe in the heart of the palatial building, enchanted by the signature scent of the hotel called "L’Ambre du Népal". Beside the design and the Michelin-starred cuisine, the lobby had one more rather unusual attraction; the hotel has brought to life an art project called "Metropole Moods" taking place right in front of the giant tapestry dating from the 18th century. Every four months a new piece of art is made for the hotel by a well-known artist or designer. These projects bring on board all the staff, who come up with harmonising details such as a dedicated in-house cocktail or a new creation from the baking team. Prior to my arrival, they had just installed a piece by Japanese artist Tsuyu Bridwell called 'Wish on a wing'. It was made of 15 thousand pieces of origami, many of them shaped like butterflies. Further on I discovered some cosy velvet-covered armchairs surrounded by 19th-century Italian paintings and an entire wall of shelving sinking under books from the same era. (However, it turned out that part of the wall was, in fact, a hidden door leading to the toilets and a small room with a phone and writing pad as if frozen in time at the beginning of the 20th century.) This was undoubtedly the best place to taste the signature dessert of the house, a special tart made of lemons from nearby Menton. While I was indulging, I discovered a haiku written on the placemat under my plate saying "With every gust of wind the butterfly changes its place on the willow". I quickly realised that this Japanese creation had more to it than its soft beauty lighting up the room. In Japan, it is believed that anyone who folds a thousand origami cranes will be granted a wish. Japanese children often do so in order to wish a speedy recovery to their ill classmates for example, according to the Metropole's PR director Laurence Shukor. 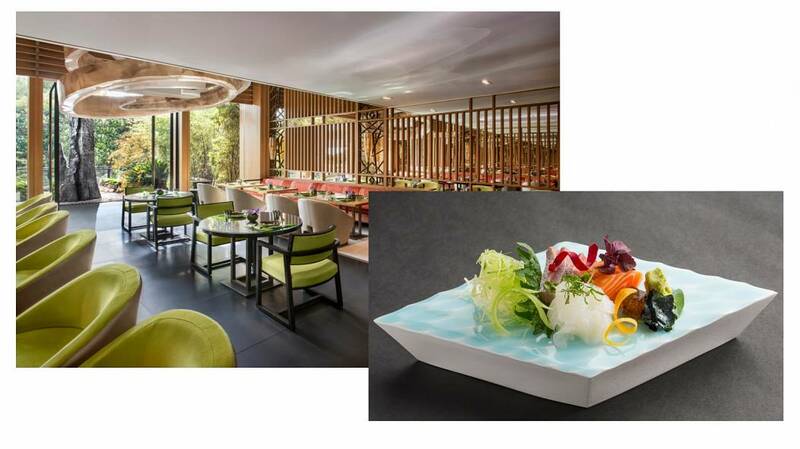 The Japanese theme has been chosen to celebrate the 10th anniversary of Joël Robuchon's first Japanese restaurant called Yoshi, being part of the four different but complementary gastronomic experiences the hotel had to offer. Robuchon worked regularly with the Head Chef of Hotel Metropole Monte-Carlo, Christophe Cussac to constantly reinvent contemporary and Mediterranean dishes, Shukor explained. I was very excited to try out more of their gourmet cuisine so I started with the Joël Robuchon Monte-Carlo restaurant that night. I found myself in front of an open kitchen where I could follow the kitchen team's every move as they were preparing my caramelised quail stuffed with foie gras, accompanied with truffle-sprinkled mashed potatoes. By the end of the four-course meal, I felt that the waiters were able to read my mind as dishes appeared at precisely the right time. Many of my fellow diners were dressed formally, sitting on caramel velvet chairs surrounded by white columns and curtains, yet the ambience of the restaurant was understated and cosy. When I left the room I was politely stopped and presented with a beautifully wrapped cake, a gift given to every woman leaving this restaurant. The idea behind it was to leave the ladies with a reminder of the refined variety of tastes they had enjoyed, to be savoured the following morning. The hotel takes pride in making unique choices and working with the most exclusive names. 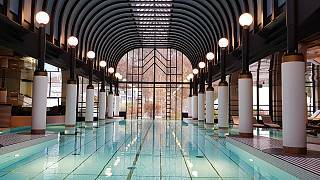 Hence here is one of the world's three existing Givenchy spas. Designed by architect Didier Gomez, the place features the iconic white, gold and black colours of the brand and improves the calm and quiet serenity by a virtual wall, which resembles a lush garden rippled in the wind. 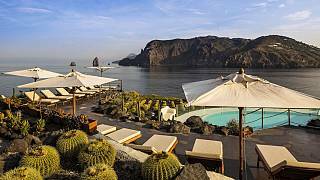 There is a vast array of luxurious, personalised treatments. 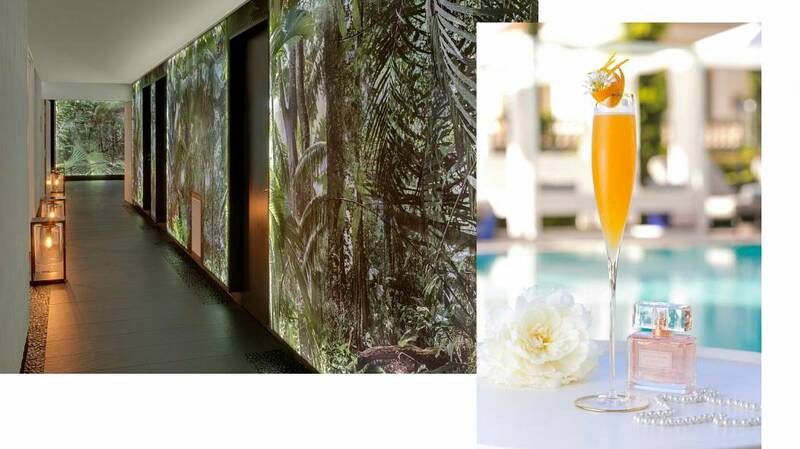 To celebrate the opening of the spa last year, the hotel unveiled its Givenchy cocktail collection at Odyssey. This is the restaurant nestled in the pool area, and it's the only one Karl Lagerfeld ever designed. 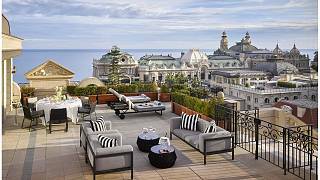 The creative director of Chanel and Fendi has brought his vision to an entire 'haute couture' setting. The concept is based on Greek mythology, displaying a fresco-style image taken by him and developed on pieces of glass, featuring Odysseus' journey on the wall - and reflecting in the salty water of the pool. It was the perfect place for a light lunch, and the menu and tableware had a real flavour of ancient Greece. One of my favourite characteristics of this family-owned hotel was the involvement of the entire staff in every decision. 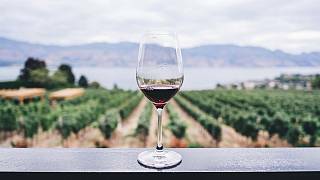 For example, one of the successful ideas put forward by the staff green committee has led them to be the first hotel in the principality to ban plastic straws. (In exceptional cases, they serve straws made of PLA, a fully biodegradable material, according to the PR director.) This is the latest act under their own eco-conscious policy called 'Green Attitude'. Another field where the employees' involvement is writ large, is charity. Groups of staff travel regularly to Nepal to build schools in association with a charity called Namaste, supported by the hotel. The hotel also donates leftover Hermes toiletries to the city's homeless. Throughout my time in the hotel, I was tempted to test the abilities of the welcoming staff even further by asking to arrange one of their exclusive activities for me. Which one to go for? Following the footsteps of Grace Kelly? 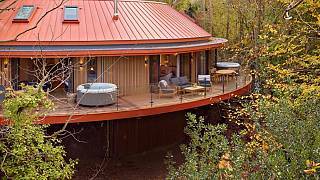 or The GoldenEye experience? - these are just two of the personalised programmes offered for guests staying on the top floor in the 260 sq. metre Carré d’Or suite (it costs about €8600 per night). In incredibly high-end establishments such as this, they are trained to the absolute degree in making the guest feel like a royal. Or indeed, like Audrey Hepburn. Needless to say, I tossed a coin over my shoulder in the fountain on my way out, wishing for a chance to return one day. 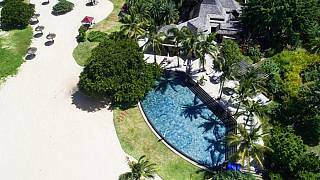 Could this be Mauritius’ ultimate luxury gem?